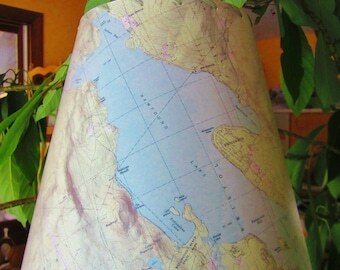 Astrologists and astronomists alike will appreciate this beautiful tree-free paper lamp shade. 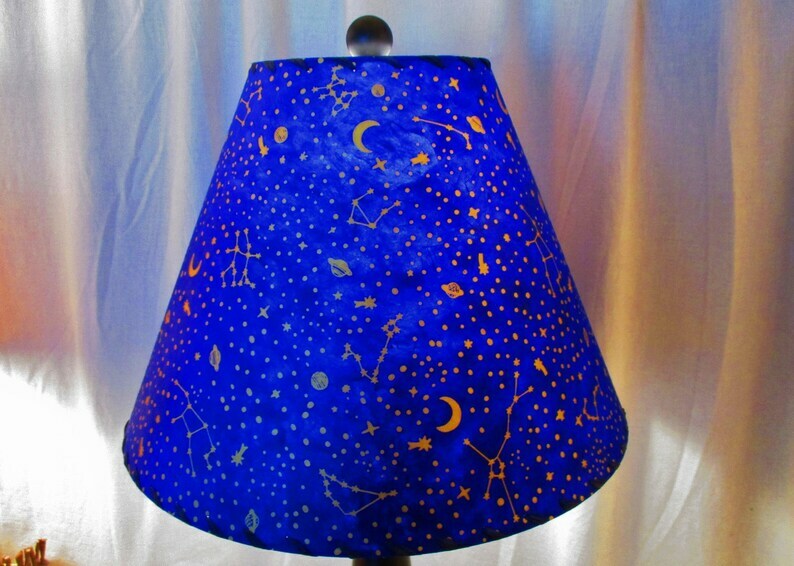 Gold stars, moons and zodiac constellations are silkscreened on to a sapphire blue Nepalese paper, for this beautiful striking lamp shade, which brings the night sky up close in your room. When your lamp is lit, it has a gorgeous rich blue glow and the starry sky design really stands out. Find your zodiac sign among the constellations shown; the only one missing is Cancer. 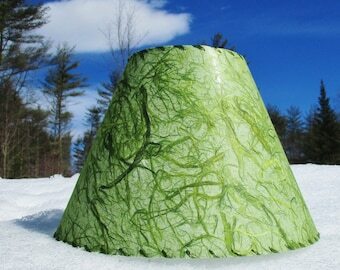 This is a 6" x 14" x 10.5" lampshade, it has a washer top, and it is in stock and ready to mail. Shades are measured top x bottom x side. 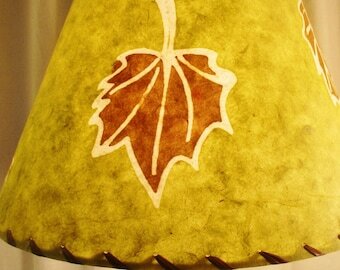 The paper is laminated to a styrene backing and then stitched with raffia on to the hardware. There may be matched seams in the paper to make it fit the pattern. These are on the back sides of the shade. It should be kept out of direct sunlight and dusted regularly to keep its best appearance. My chinchillas say thanks! Shipping was fast and my fur babies love all of them. They are exactly what was pictured and what I wanted. They arrived quickly. The box had a hole in it from postal damage but that isn't the sellers fault. I love my items and they arrived safely despite the box getting damaged. I will happily shop here in the future.